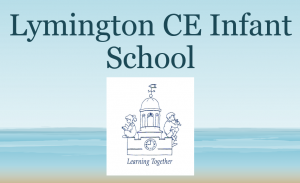 Lymington Infant School is a two form entry infant school. This means we admit 60 children a year. Children usually start school in the Autumn term after their fourth birthday. We are happy to consider applications from outside our catchment area but in the case of over subscription we follow our admissions policy. Further information about applying for a school place can be found on Hampshire County Council website. The application form for main round Yr R is submitted online to Hampshire County Council (hard copies are available if necessary) in the year the child is due to start school. We are happy to offer school places where available. In this instance, please contact the school office and speak to Mrs Dowding for more information. We encourage prospective parents to visit our school during our open days – search in our calendar for the next open day. Our next Open Days will take place in the Autumn Term 2019. Visits at other times by appointment only please. View further details of the catchment area for the school. We have a pre-school on site. This is run independently and is held in the Community Room at school. The pre-school can be contacted on Tel 07943 039493 or visit their webpage.